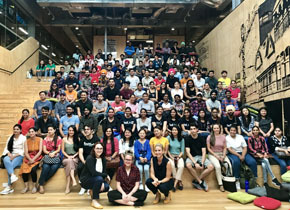 The creators of the next software giant or social media leader may well come from Federation University Australia’s Brisbane Campus. In another step in the expansion of the campus, a new Bachelor of Business (Entrepreneurship) program has been announced. Launched in partnership with River City Labs (RCL), the new program will allow our students to study seamlessly between the classroom and the lucrative start-up world. The partnership between the University and River City Labs will greatly increase the learning and networking opportunities of our new Bachelor of Business (Entrepreneurship) students. The new program is another milestone in the development of the Brisbane Campus. This year will see 500 students studying at the city-based campus. Undergraduate and postgraduate programs across business, commerce and information technology are now offered from the site.